This album contains pictures relating to the Eckenrode family tree. What you will find here are copies of old photos as well as some original photos of family members and grave markers. 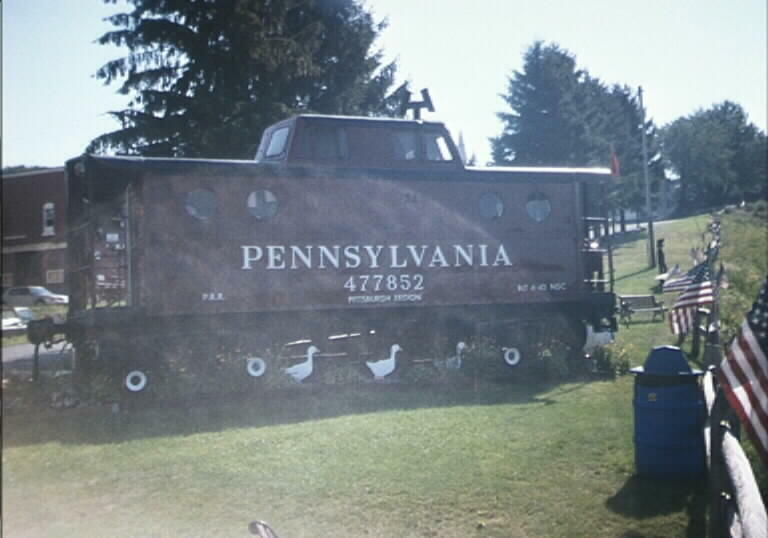 This cover photo is a shot of a Pennsylvania Railroad Caboose that sits at the Gallitzin Tunnels Park. Quite a few members of our family have worked on the railroad, including my father, my grandfather and my great-grandfather who was killed in a railroad accident in Hastings, Pa. My uncle Ed is the manager of the park museum. The information that will be found here comes from many sources. My main source for years has been my copy of the Loretto Centenary. But recently I purchased a copy of Eckroth-Eckenroth-Eckenrode Family from Chris Pelikan. This is a must read for anyone tracing our roots. Other sources that need to be recognized are my mother and my uncle Ed who have given me a lot of information that isn't in books. Thanks to all.